Scientists have discovered the world’s largest tropical peatland in the remote Congo swamps, estimated to store the equivalent of three year’s worth of the world’s total fossil fuel emissions. Researchers mapped the Cuvette Centrale peatlands in the central Congo basin and found they cover 145,500 sq km – an area larger than England. The swamps could lock in 30bn tonnes of carbon that was previously not known to exist, making the region one of the most carbon-rich ecosystems on Earth. The UK-Congolese research team, co-led by Prof Simon Lewis and Dr Greta Dargie, from the University of Leeds and University College London, first discovered the swamps five years ago. Their research, published in Nature on Wednesday, combined three year’s worth of peat analysis with satellite data to estimate that the Congo basin peatlands store the equivalent of nearly 30% of the world’s tropical peatland carbon. Lewis said: “Our research shows that the peat in the central Congo basin covers a colossal amount of land. It is 16 times larger than the previous estimate and is the single largest peatland complex found anywhere in the tropics. “We have also found 30bn tonnes of carbon that nobody knew existed. The peat covers only 4% of the whole Congo basin, but stores the same amount of carbon below ground as that stored above ground in the trees covering the other 96%. Peat is an organic wetland soil made from part-decomposed plant debris, more commonly found in cool environments, such as northern Russia, Europe and Canada. Healthy peatlands act as carbon sinks, removing carbon from the atmosphere through plant growth. Further decomposition of the peat is prevented by its waterlogged environment, locking up carbon. Year-round waterlogging is needed for peat to form in the tropics. Lewis said: “Peatlands are only a resource in the fight against climate change when are left intact, and so maintaining large stores of carbon in undisturbed peatlands should be a priority. 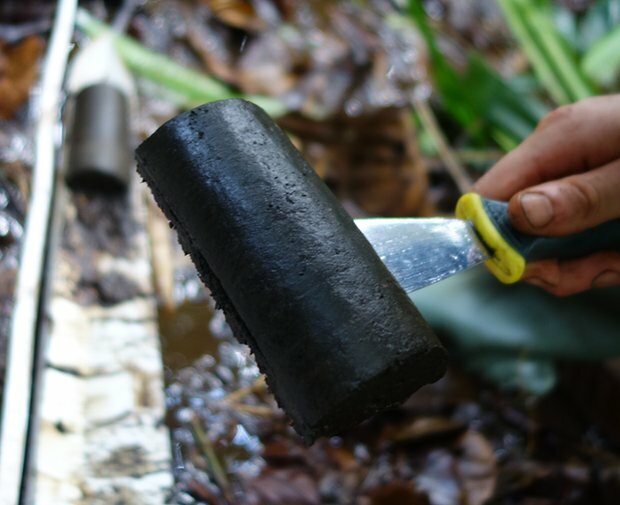 Our new results show that carbon has been building up in the Congo basin’s peat for nearly 11,000 years. Because of their remote location, the peatlands in the Congo basin are relatively undisturbed, but because they are so newly discovered, they are not protected by conservation plans. They could face threats from drainage for agricultural plantations, particularly for palm oil, as is happening in Indonesia. The study places the Democratic Republic of Congo (DRC) and the Republic of Congo (RoC) as the second and third most important countries in the world for tropical peat carbon stocks. In first place is Indonesia, that contains tropical peatlands across the islands of Borneo, Sumatra and New Guinea. However, the islands have suffered damage or loss to about 94,000 km2 of peatland over recent decades, primarily due to forest fires or drainage for agricultural use. The peat may also be vulnerable to the effects of climate change – increased evaporation due to rising temperatures or reduced rainfall could cause it to dry out and begin to release its carbon to the atmosphere. 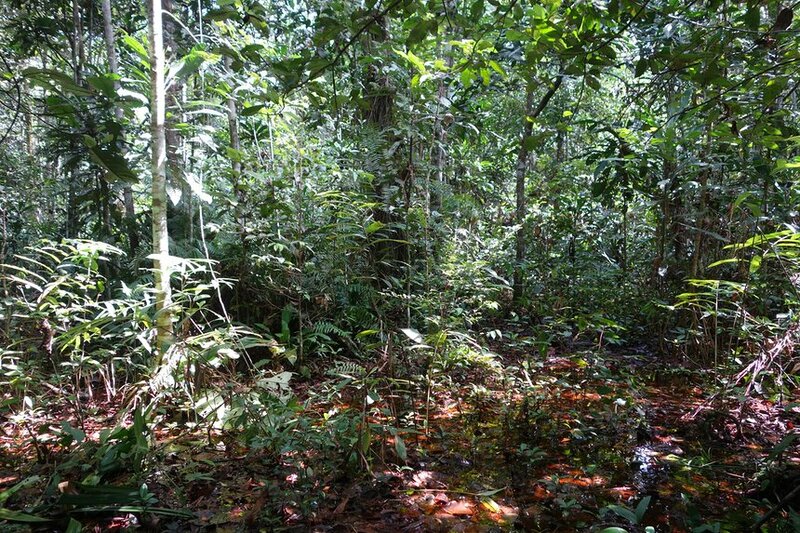 The study’s co-author Dr Ifo Suspense, from the Université Marien Ngouabi in the RoC capital Brazzaville, said: “The discovery of the Cuvette Centrale peatlands could have a large impact on the climate and conservation policies of the Congo. The maintenance and protection of this peatland complex, alongside protecting our forests, could be central Africa’s great contribution to the global climate change problem.